From the mysterious Ragged Oracle of Seedworld AFG-218 to the horrors of the Maletek Stalker, The Radicalâs Handbook contains a wealth of background information and game mechanics to enrich your Dark Heresy campaign. 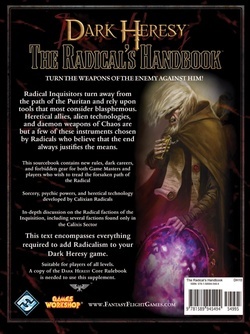 More background packages and character options for those Acolytes of a Radical bent, such as Hive Mutant and the Exorcised More unusual and forbidden technology, including Dark Tech and Xenos weaponry. 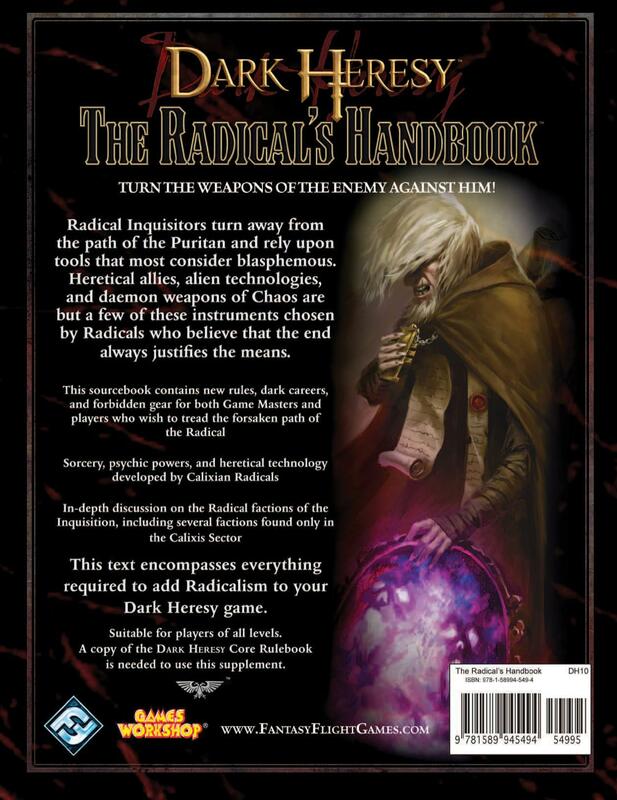 More rules for sorcery, daemon weapons, and daemonhosts Detailed information on the Radical factions of the Inquisition, including many Calixian-specific factions Advice on how to run a Radical campaign Ten of the most infamous Radicals in the Calixis Sector ...and much, much more! 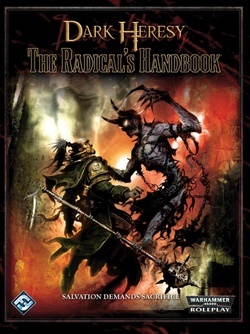 Whether you and your Acolytes prefer to destroy the Radicals or join them in their path to damnation, this sourcebook provides all you need to do both. 006 | Whatâs in this book? 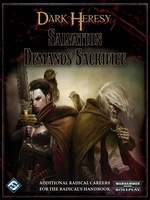 222 | How Far is Too Far?